A “bottom-up” approach of sourcing ideas from all staff members in the company has introduced a culture of innovation in Bidvest Panalpina Logistics and has already resulted in over 100 ideas being put forward, many of which have been implemented or are in development. FleetWatch recently received a press release from Bidvest Panalpina Logistics (BPL) which perked up our interest in that it tells of how BPL is focusing great attention on innovation as being a key enabler of future growth. Having been following many trends on the international front which are impacting on traditional transport norms, FleetWatch feels that what BPL is doing is of great interest to our South African logistics sector. Things are changing fast and we need to keep up. So strong is the company’s belief in innovation being a key enabler that the company set up an Innovation Committee a year ago inviting all staff members to submit innovative ideas that could improve on the quality of service to its customers. This “bottom-up” approach of sourcing ideas has introduced a culture of innovation in the company and has already resulted in over 100 ideas being put forward, many of which have been implemented or are in development. These include an automated purchase-order system, a box-on-demand system, drone technology and a sign-on-glass project. “Innovation is a way of life for BPL,” says Willem Bekker, supply chain solutions manager for BPL and a member of the company’s Innovation Committee, which is made up of people from all areas of the business. Dealing with data is a big strategic focus for BPL at the moment and cloud-based data analytics has helped the company become far more proactive in how it manages its operations – and in identifying issues before they arise. “We often see it as the logistics version of the petrol light going on in your car – data (fuel level) is used to identify a potential problem (running out of fuel) before it occurs, in order for you to take corrective action (fill up),” Bekker explains. The last few years have seen the technology related to cloud-based analytics become much more accessible and BPL’s challenge is more in identifying where the tools and technology available can be deployed innovatively to create customer value, than in the application of the technology itself. 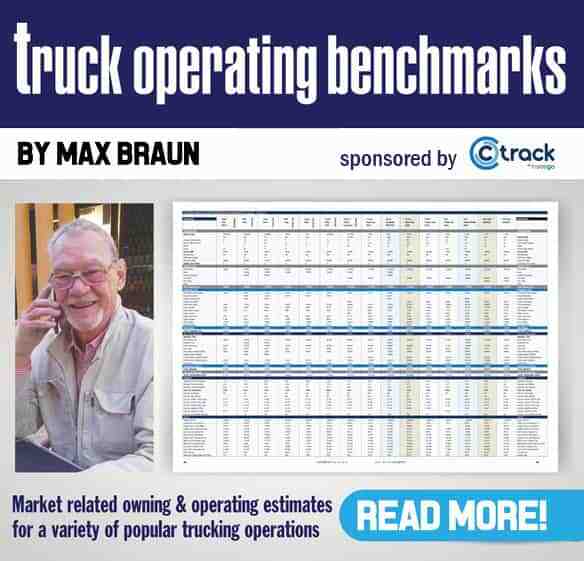 The challenges of dealing with multiple systems, different units of measurement at various stages of the logistics chain, and the different variables at play for complex freight movements from cradle to grave, has been holding the industry back from truly providing end-to-end visibility. Recently, a cross-functional team of BPL operations experts conceptualised and built a unique data-visualisation platform that links key shipment information across multiple operations and from multiple source systems into a single end-to-end view. While confusion about which hardware and software breakthroughs will have the biggest effect on profitability and overall organisational performance may be holding some logistics businesses back from making changes in the way they do things (according to senior PwC consultants), this isn’t an issue for BPL. “This is something that’s on-going and rapidly implemented as opportunities are identified,” says Bekker, citing as recent examples the “sign-on-glass” technology customised and deeply integrated for one of the company’s key clients, and automated and integrated damages logging through smartphones. “And we’re currently investigating some exciting optical character recognition [OCR] technology that could significantly simplify the traditionally paper-heavy forwarding and clearing operations we’re involved in.” OCR enables the conversion of different types of documents, such as scanned paper documents, PDF files or images captured by a digital camera, into editable and searchable data. 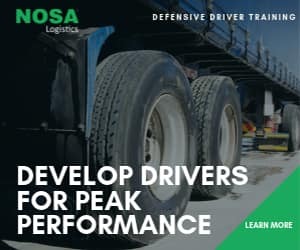 “We’re following what’s happening in the self-driving-vehicle space and although there’s no doubt that it’s going to become reality in the near future, the main challenges we foresee aren’t linked to the trip aspect of the journey but more to optimising the loading, route-planning, unloading and other ancillary activities related to the transport leg,” says Bekker. BPL has been following what’s happening in the self-driving-vehicle space and according to Willem Bekker, supply chain solutions manager for BPL and a member of the company’s Innovation Committee, although there’s no doubt it’s going to become reality in the near future, the main challenges the company foresees aren’t linked to the trip aspect of the journey but more to optimising the loading, route-planning, unloading and other ancillary activities related to the transport leg. In this picture, a driver relaxes behind the wheel of a Mercedes-Benz Actros as the truck takes over the driving on a highway in Germany. Blockchain technology, meanwhile, is “likely to focus on very specific-use cases at first, where the auditable transparent trail of an item is critical, such as in the pharmaceutical or perishable supply chains,” Bekker notes. That said, BPL’s global partner Panalpina has already joined the Blockchain in Transport Alliance (BiTA), a forum of leading tech and transport companies for the development and implementation of blockchain standards in the freight industry. “The supply chains of the future will move away from the awarding of medium- to long-term contracts for transportation, warehousing, distribution, etc, to short-term ‘per transaction’ type service requirements,” says distribution general manager, Mark Kotze, pointing to the rise of platforms such as Uber and Airbnb as examples of how society and business have become accustomed to conducting business this way. BPL is developing platforms that will make it a relevant major player in this new supply chain environment, where customers can choose among available transporters, hubs, depots and warehouses to find the most efficient use of capacity. “BPL has a distinct advantage in entering the shared economy due to its growing network, consistent performance to its customers and financial stability,” says Kotze. “We view the strides we’ve made of giving operations experts hands-on exposure to the power of data science, data visualisation, the internet of things [IoT], etc, as a very powerful means of taking all these industry 4.0 concepts that can easily appear so much like science fiction and making them real and tangible by solving actual problems and creating customer value,” says Bekker. BPL is one of South Africa’s largest logistics businesses, owned by services, trading and distribution powerhouse Bidvest. The local partner of Swiss-owned Panalpina Group, BPL provides an end-to-end supply-chain solution across a number of different industries. It offers international import and export services, using road, sea and air. When products arrive in South Africa, BPL is able to clear, warehouse, fulfill and distribute through final mile distributing services. 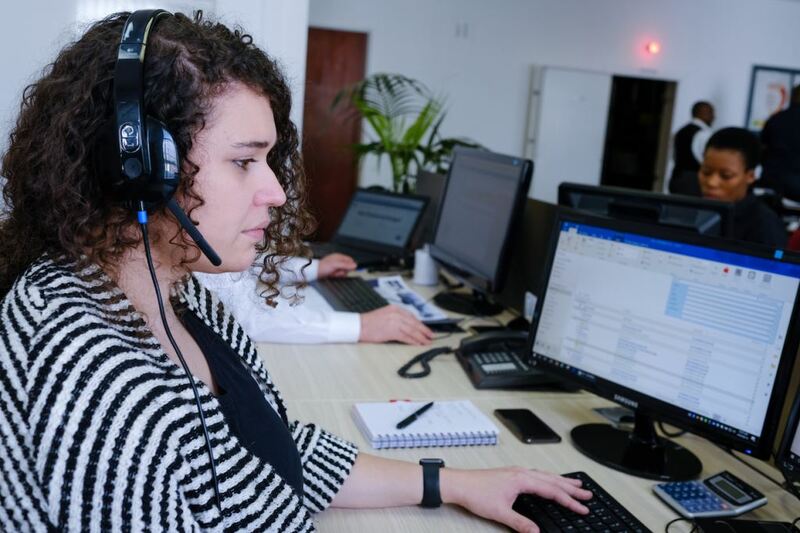 The company has massive coverage throughout the country and access to Panalpina’s worldwide network on six continents, in 70 countries, across 500 offices. And its technological capability gives customers full visibility of their orders 24/7, whether they’re single items or bulk, express or deferred.